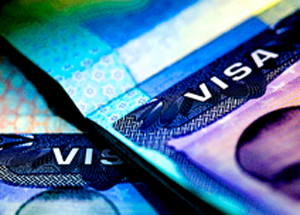 After a long battle, a small Virginia state agency has terminated a visa mill in that state — the American College of Commerce and Technology (ACCT) — while the Department of Homeland Security (DHS) agency in charge of such matters watched from the sidelines. A visa mill is an educational institution that profits from the tuition it receives after causing the issuance of student visas (F-1s). The school then, typically, hands out instant work permits, while providing the scantiest of education to these students. Such places often have a student body that is 95 percent foreign. My son Rodney and I recently wrote a long report for the Center on the activities of these institutions. This week's closure was a repeat of a very similar performance of several years ago. At that time, the ultra-sleazy University of Northern Virginia in Annandale, Va., was allowed to continue to accept foreign students by DHS, even after being raided by DHS officers, until the state agency closed it, as we reported at the time. The sleepy federal agency is the Student and Exchange Visitor Program (SEVP), a subset of Immigration and Customs Enforcement (ICE), which in turn is part of DHS. The alert state entity is the State Council of Higher Education in Virginia (SCHEV). The national headquarters of SEVP, with a staff of 700, is located in Arlington, Va., about eight miles from ACCT's operation in Falls Church, while the 60 or so staff members of SCHEV are headquartered about 108 miles away in Richmond. So the smaller, more distant entity did the job, while the larger, nearby agency did not. Both have different kinds of licensing power over such schools. Further, the Virginia state government is in the hands of people who are not particularly interested in limiting migration, while the federal government is headed by someone who speaks frequently about the dangers of unrestricted immigration. Go figure. There was no question about the inadequacies of ACCT. It had only been accredited by a weak organization, the Accrediting Council for Independent Colleges and Schools (ACICS), and was left adrift about a year ago when the U.S. Department of Education decided to de-recognize ACICS for its low standards. Then, ACICS decided that ACCT was not qualified as a university, and ACCT did not appeal the decision. Meanwhile the staff of SCHEV conducted a series of site visits and did other research on ACCT, finding, among other signs, a remarkable amount of college-accepted plagiarism by students. It scrutinized the qualifications of ACCT's faculty and determined that many of them were unqualified to teach the subjects they were teaching. Even after these reviews, ACCT retained many of the teachers found to be wanting, as we noted in an earlier posting. The agency's review of ACCT even included a session with a mediator appointed by the State Supreme Court. Finally the SCHEV staff recommended to its Council (of gubernatorial appointees) that the place be closed. At this point, the main owner of this for-profit entity, William Schipper, concocted what he persuaded the Council was a sale of the institution, as we reported in September, postponing action on the termination for 45 days (under the SCHEV regulations) until the new owner could apply for a license. The purported purchaser of ACCT, a former member of its board of directors, Karamjeet Ricky Singh, formed ACCT Educational LLC to buy the college. Then Singh decided to convert the purchaser from a for-profit LLC to a non-profit corporation. To do so, Singh cancelled the LLC on October 23. On November 6, the SCHEV Council ruled that it had postponed action on the termination because of the sale to the LLC, and that action was related to the then-existing firm, and that a non-existent firm could not make itself into a nonprofit, and hence the place was to be closed. ACCT added fuel to its own fire by taking on new students when a conditional license issued by SCHEV forbade such action. We learned all of this because of a request we filed under the Virginia Freedom of Information Act. We record this long, sordid story for a reason. All of this intense, time-consuming work experienced by SCHEV could be avoided if Congress were to pass legislation making it impossible for colleges to accept foreign students if they do not have accreditation from a U.S. Department of Education-recognized agency. Had such a law been in effect, ACCT and scores of other unattractive institutions of this kind would be out of business — all of them. Currently, a school cannot conduct ESL programs for foreigners unless it is accredited. Similarly, flight schools cannot accept foreign students unless they are approved by the Federal Aviation Administration. Why doesn't Congress, in a fit of consistency, extend that rule to other educational institutions as well? Finally, a salute to the good guys on this issue. In addition to the highly commendable behavior of the SCHEV staff, management, and the Council on this matter, there was an individual activist who had, once upon a time, been briefly on the adjunct faculty at the little college. A retired lawyer, he subsequently spent endless hours exploring various aspects of ACCT, and the complex schemes of its leadership, in the process providing a gold mine of useful information to SCHEV and, incidentally, to me. There were three other volunteers working on this matter, all of whom asked not to be named. We need more citizens like those four, and more government agencies like SCHEV.